It’s been quite a season for Jack Bobridge. Tipped for greatness by Lance Armsrong after his aggressive riding in the Tour Down Under, Bobridge then secured a silver medal for Australia in the World Track Championships. And now, in the men’s U-23 Time Trial, he’s struck gold. “I thought the course was a bit too tough for me when I saw it earlier in the year, it’s far harder than it looks on paper,” Bobridge said afterwards. Second behind the Australian on the 33.2 kilometre course was Portugal’s Nelson Oliveira, 18 seconds back. German Patrick Gretsch took the bronze. 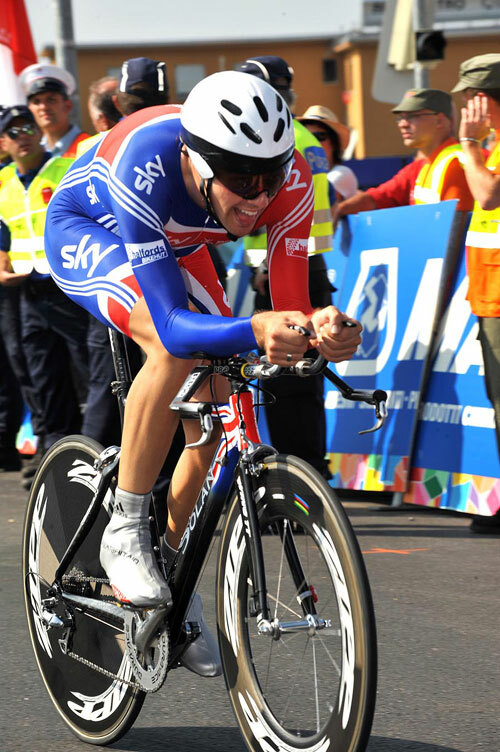 GB’s Alex Dowsett took an impressive seventh at 43 seconds. After catching his minute-man, Switzerland’s Nicolas Schneider, Dowsett kept his pace despite Schneider partly blocking him for an above-expectations result. The big disappointment of the day was for last year’s winner, Adriano Malori of Italy, who could only take fifth despite taking five races in the build-up to the World Championships. 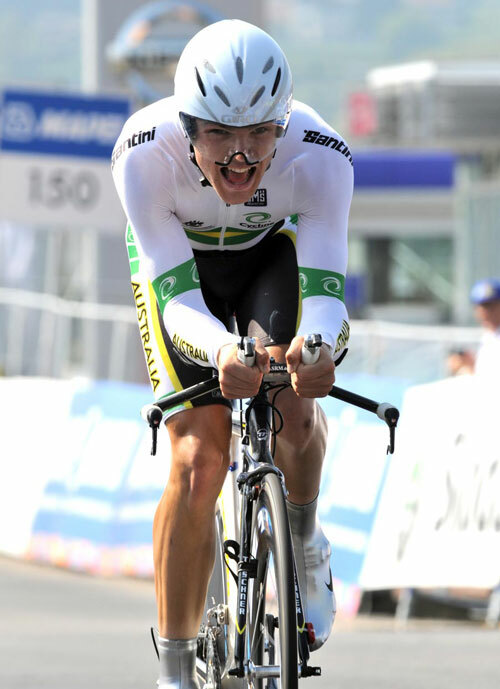 This was just the opposite case for Bobridge, who started off taking Australia’s U-23 titles for both the road and the time trial and since then has gone from strength to strength. 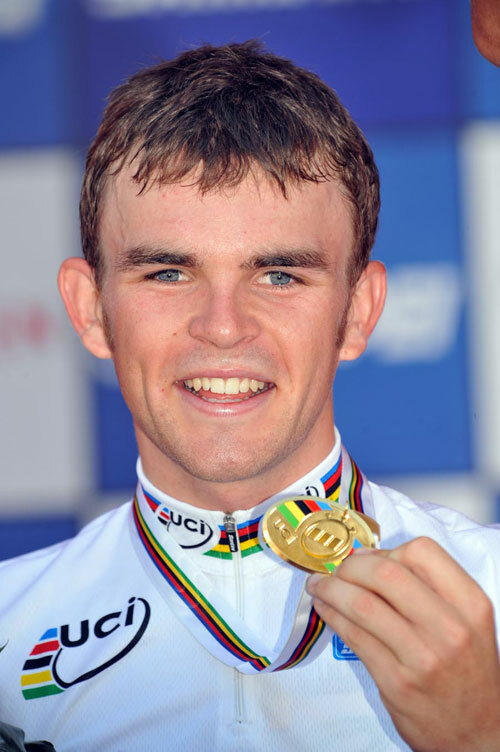 Just 20 years old, Bobridge has now signed for Garmin-Slipstream in 2010 for three years, and will be looking for more major results on the road next season.